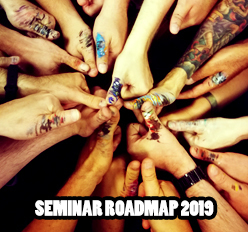 the Massive Voodoo gang will return home from Monte San Savino Show this Monday night and Raffa and Roman will be busy in preparing another one of their famous private coachings, starting this Wednesday. 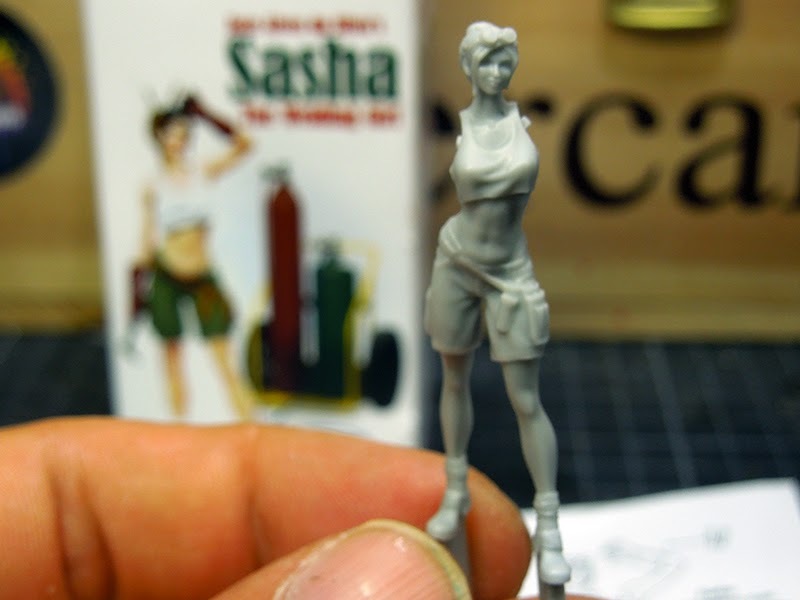 Nonetheless this Monday Morning brings you a Miniature Unpacked again, this time with some eye candy from Industria Mechanika. Now who is that you might ask yourself? 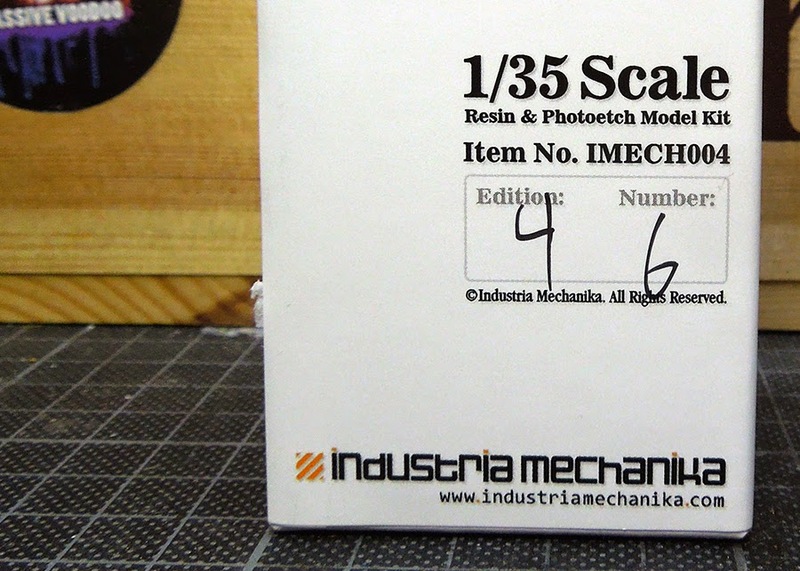 Well, if you not yet heard about Industria Mechanika after this review you should have a good glimpse on what is happening there. 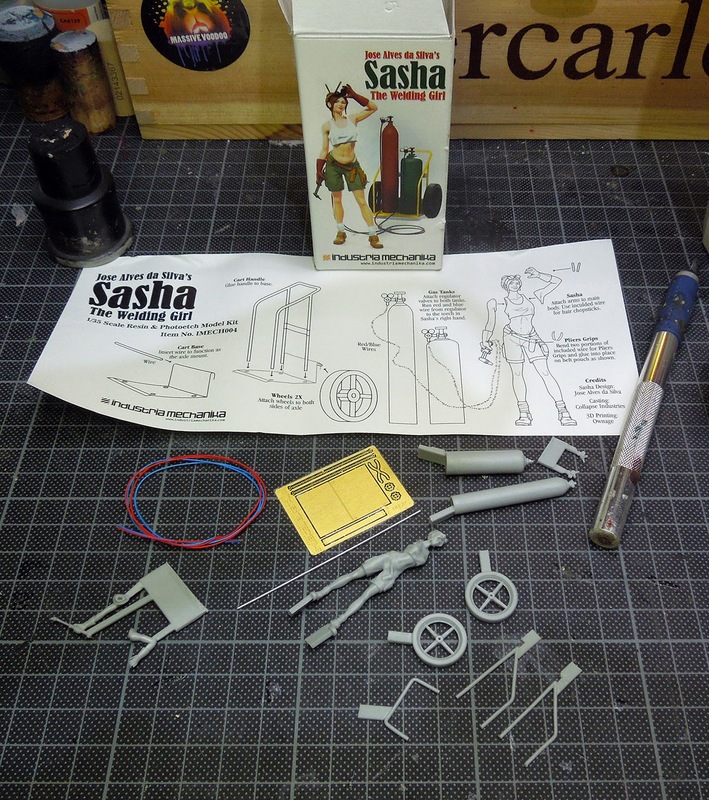 They are producing one of a kind model kits, miniatures and scale models. Lovely Steampunk Stuff, cool Fantasy and SciFi material that is really unique. Take your time to have a look! 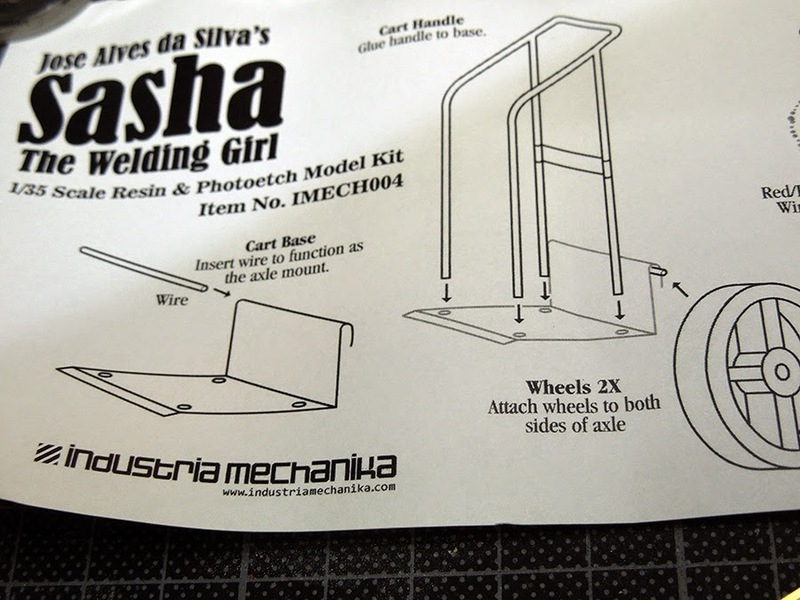 We will have a closer look on Sasha, the Welding Girl in 1:35 today, which is available for 18,00 $. Now opening the box will first leave you speechless. It is not only one model in there, Sasha brings mucho equipment with her. At least there is a plan coming along. We think we are in need of that one. 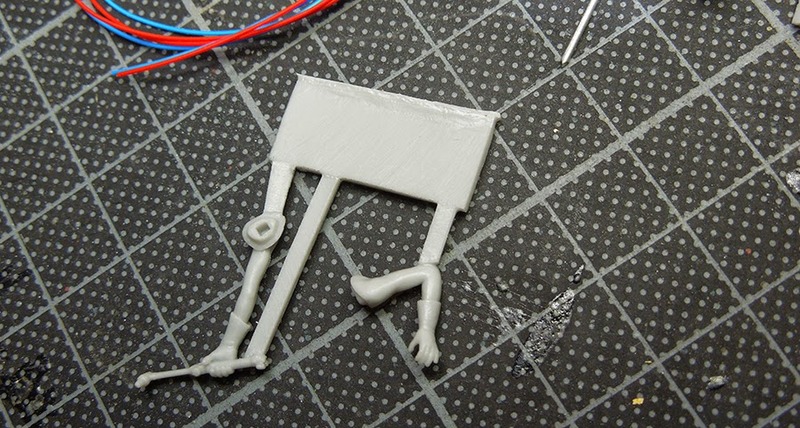 Finding photoetched pieces, cabels and many resin parts in there, the plan is truely a big help. And what a high quality plan it is. Every small piece is explained. Diving into the pieces, the details are really cool. 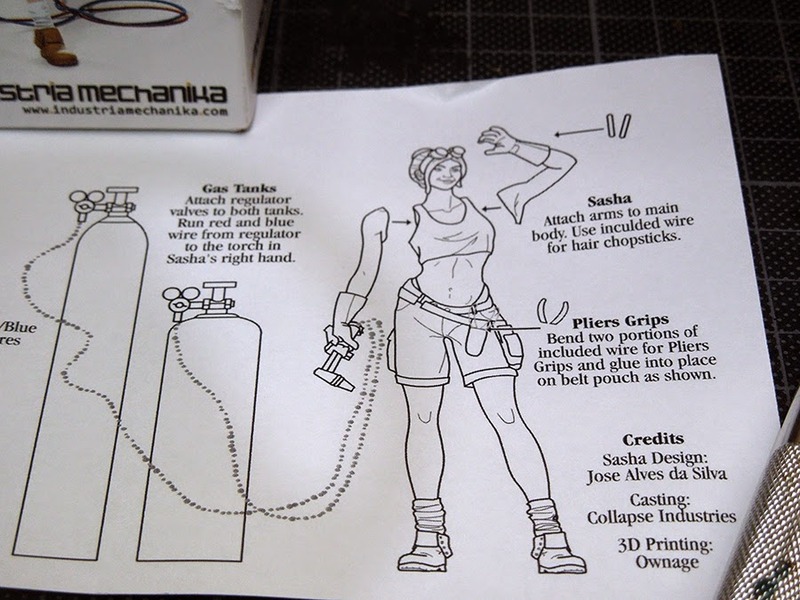 It seems obvious that the model is a 3D sculpt, but nonetheless the quality is superfine. 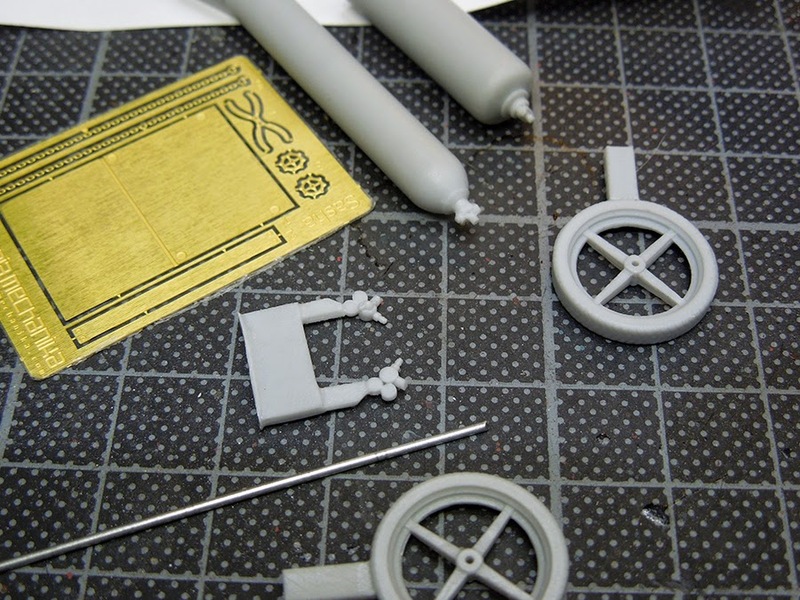 The resin of the model parts are in high quality resin that won't break by just looking at it with blade in hand. Every piece has to be cleaned from a resin casting part. Some small mould lines can be found on the parts, but they are easy to clean with sandpaper or a blade. This is truely a high end kit for 18,00 $. 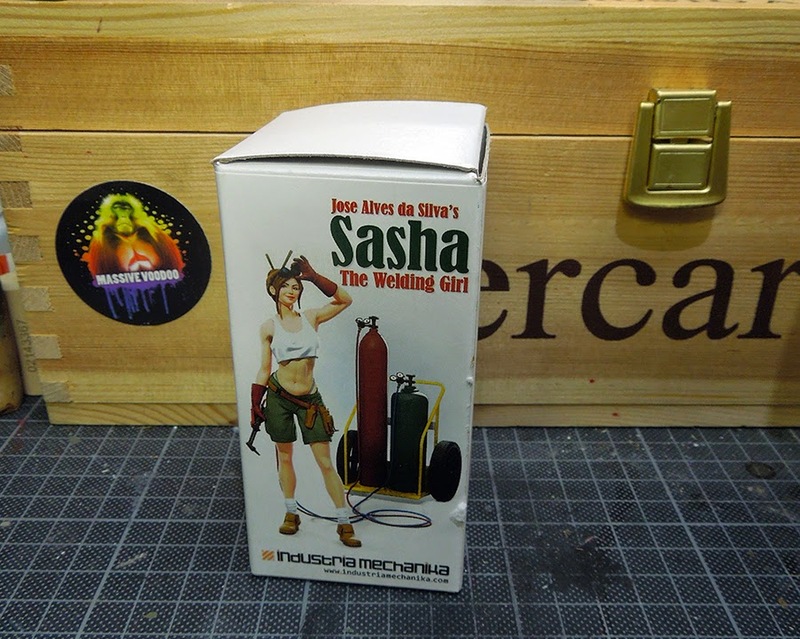 Well, now to Sasha herself. A true beauty. 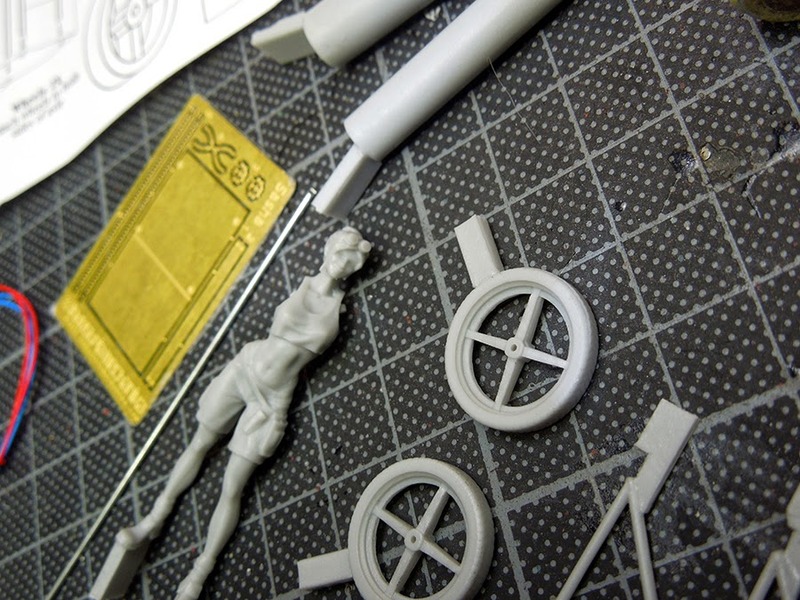 The sculpting work is splendid and we can not wait to see her primed. From the first impression we miss truely sharp edges here and there, but we guess this is a result from the 3D printing work. Well, we told you about the small mould lines here and there. Check this one, it is the biggest we did find on all the parts out of the box. We hope you enjoyed this review!